The limited edition photography prints are produced by the latest, most advanced digital inkjet process, setting the highest standard in photographic reproduction. This technique is far superior to the traditional darkroom printing process in terms of overall quality and consistency of the prints, and also enables more control over the expression of each image. Although darkroom techniques are applied digitally so that the highest quality prints are achieved, the content of each image is not altered in order preserve its authenticity. 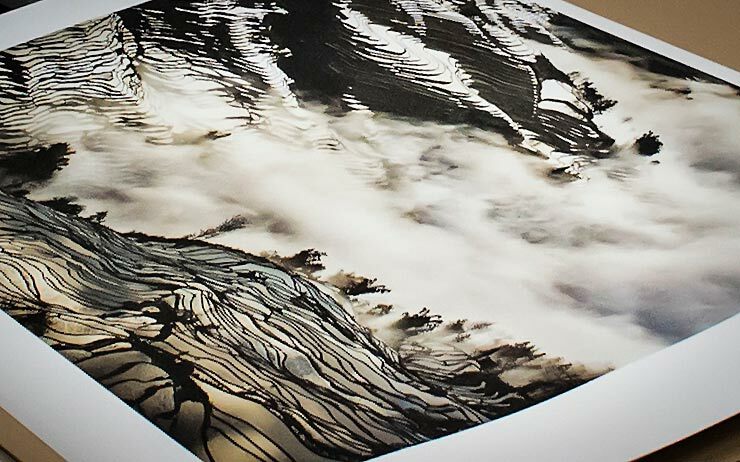 We work with one of the world’s leading digital inkjet specialist printers with 30 years experience in fine art printing, and one of the pioneers of the digital printing process in the UK. The images are worked on individually to produce a master file that results in every print meeting our standard for its particular characteristics, quality and expression. The prints are made on heavyweight Hahnemuhle fine art photographic paper that leads the industry for colour range, depth, contrast, rendering and colour gradation. The specific paper is selected and matched to each image to ensure the finest representation. Pigment based inks are used, which have better colour stability and a longer archival life compared with dye based inks. The result is museum quality prints with an exceptionally long archival life of 100-200 years. 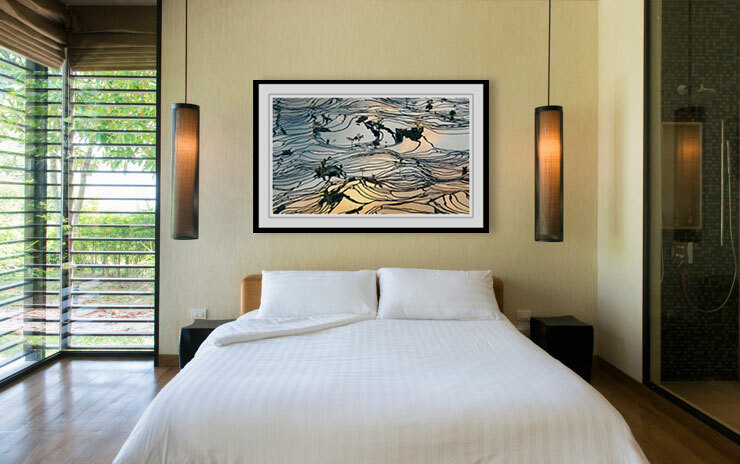 Each limited edition print is signed and numbered by Ron Yue on the border surrounding the print. The prints are offered in the sizes indicated next to each image. The listed price is for the print only, without matting and frame. We can also produce a print in any specific size to match the space in your home or office. All custom prints will form part of the limited edition series of that particular image in the next smallest standard size offered. The cost of custom sized prints is determined on a case by case basis. We normally ship prints without matting and framing. We feel it is more suitable for customers to have the flexibility to choose the style and border thickness of the matting and frame for the best fit and match up to their particular display area. Due to the quality and long archival life of the prints, when preparing them for display, customers should ensure an acid free matting material is used. Higher quality matting has more cotton fiber in its construction. Museum board is at the top end and is composed entirely of cotton fiber, while more inexpensive types of matting are a blend of this material and paper, or paper only. Matting can be found in different thicknesses. A thicker material allows for a deeper bevel, providing a more dramatic look to the framed image. Shipping within Hong Kong is free. For international deliveries, please add USD40 for packaging, shipping, and insurance. The parcel will be fully traceable to its destination. If any print is damaged during transit, we will replace it at no additional charge upon the return of the damaged item. We appreciate that you have not seen the actual print prior to purchasing. Should you decide for any reason not to keep the print, please return it within 2 months and we will provide you with a refund of the cost of the print.